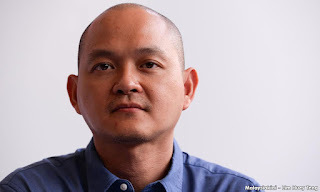 Bangi MP Dr Ong Kian Ming has spoken up in support of Dr Maszlee Malik’s appointment as Education Minister, in response to critics citing his alleged “support” for controversial preacher Zakir Naik. COMMENT | I really did not want to get into this whole “fake degree” fiasco but then I read Deputy International Trade and Industry Minister Ong Kian Ming’s piece about not needing a degree to be an effective politician and realised how much trouble we are in. Ong couldn’t even bring himself to name the minister in question, and chose instead to backtrack on earlier positions he held while maintaining he has been consistent. Ong's piece is politics at its most craven. Ong is half-right. You do not need professional qualifications to be an effective politician. However, professional qualifications most times add a veneer of legitimacy to mendacious politics because people are conditioned to think that professional degrees add an element of credibility to political rhetoric. But it adds very little to actual governing and policy-making which entails a different set of skill sets, most importantly political will. Ong says that a professional qualification is not needed to be an effective politician. This is true. A politician lies or spins, works the party system, makes alliances and enemies and generally does despicable deeds to court votes, and you do not need a professional qualification to do this. With regards to “degree mills”, Ong said: “My stand on this issue is clear and has not changed. It is not acceptable for politicians to buy degrees from degree mills and then try to pass these off as being genuine academic degrees.” On this issue, Ong's stand is not clear. I would argue his stand on this issue was clear but since coming to federal power his stand has been reversed. What Ong says now is radically different from what he said back in the day. The justification he is making now is a mockery of what this Pakatan Harapan reform government is supposed to be about. It does, however, demonstrate that Harapan operatives are excelling in back-pedalling. In 2013, Ong had asked then prime minister Najib Abdul Razak to sack two ministers who Ong claimed had fake degrees. If anything, his stand then was clear. Two points need to be understood when considering Ong's change of position. And this is so funny because the headline for the report blares out “Sack ministers with dubious degrees, DAP MP tells PM”. Should the police investigate someone for having a degree from a degree mill or a fake degree? Probably not. But if having a fake degree is part of the systemic corruption that someone like Ong used to rail against, then why is Ong now making all these justifications for a member of his coalition? Ong asked then prime minister Najib for the resignation of the two ministers in 2013 and asked for the ministers to resign to prove their commitment to reform. Why is Ong not asking the current prime minister Dr Mahathir Mohamad for the resignation of Deputy Foreign Minister Marzuki Yahya (photo)? Why is he not asking Marzuki to resign? Why is he not asking for the Harapan political elite to demonstrate they are committed to reforms? In 2013, Ong made the case that fake degrees hamper the ability of ministers to effectively carry out their policy responsibilities. He called it an embarrassment for the reform agenda of the Najib regime. Now when a deputy minister who has to be a credible spokesperson for Malaysia has been caught with a fake degree, why isn’t Ong applying the same standards? Does Ong really believe that his position has not changed? Does Ong really believe that his muted goal posts-shifting piece about fake degrees is really the way how to reform the system? I mean, does anyone else realise how funny this is? 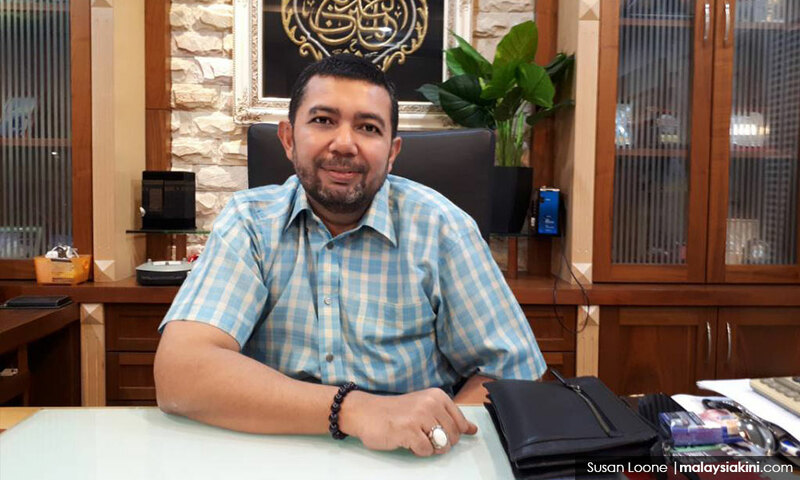 Bersatu deputy president Mukhriz Mahathir said that Marzuki was not appointed for his academic credentials and here we have Ong telling people that academic qualifications do not necessarily mean a minister would be good at his job, which directly contradicts what he said back in the day when he was going after the Umno regime. Is there some sort of collaboration when it comes to shovelling the horse manure or do Harapan political operatives all think the same way? Now people may say this is not a big issue. Truth be told, I am not really bothered by politicians who go around carrying fake degrees. As far as I am concerned, all the ministerial appointments have been a dodgy affair and it would not matter if the appointees had sterling academic qualifications. The reality is that most of them are not really interested in reform or do not have any ideas for reforming the system. What is alarming is the way how politicians who used to claim to want to reform the system and hold the government accountable are now bending over backwards to defend issues which before they came into power they claimed were indefensible. The question is not how Marzuki can be a credible deputy minister but how those who backtrack on their positions just to defend Marzuki be credible reformers?